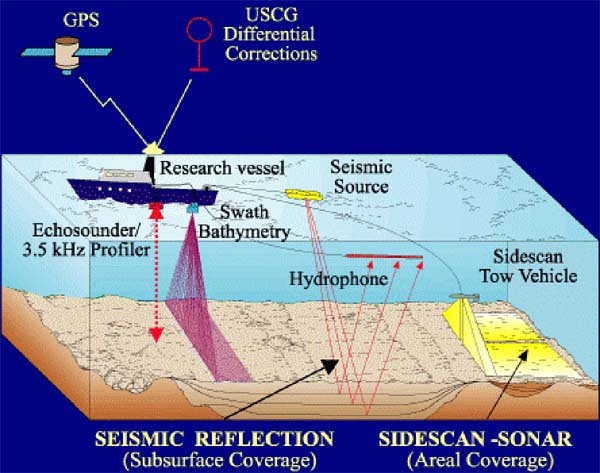 Illustrations of various technologies used to conduct seafloor mapping. The Hudson Canyon Expedition will use an optical backscatter to map the area by correlating a multibeam system and seafloor bathymetry data with subbottom profiles. Image courtesy of Hudson Canyon 2002, NOAA/OER.